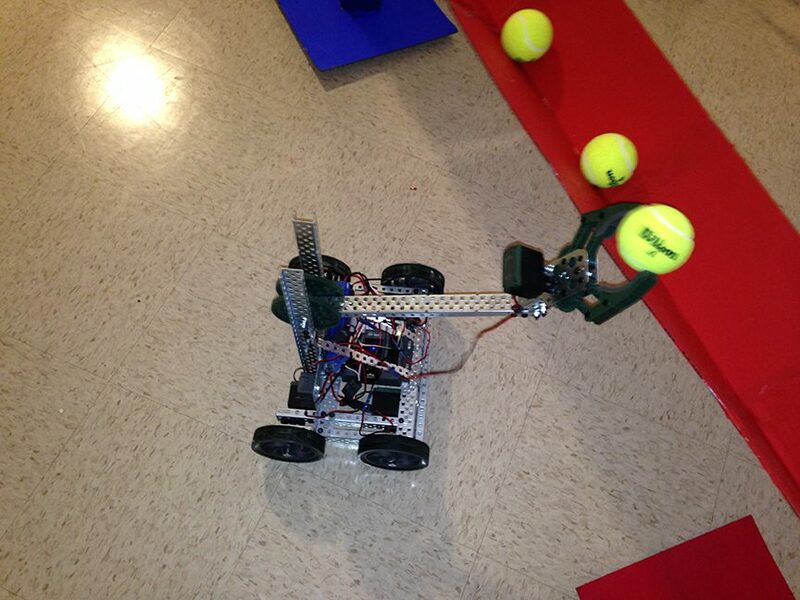 Village Glen High School held its first Robotics competition between the Red and Blue teams drawn from the two Robotics classes. 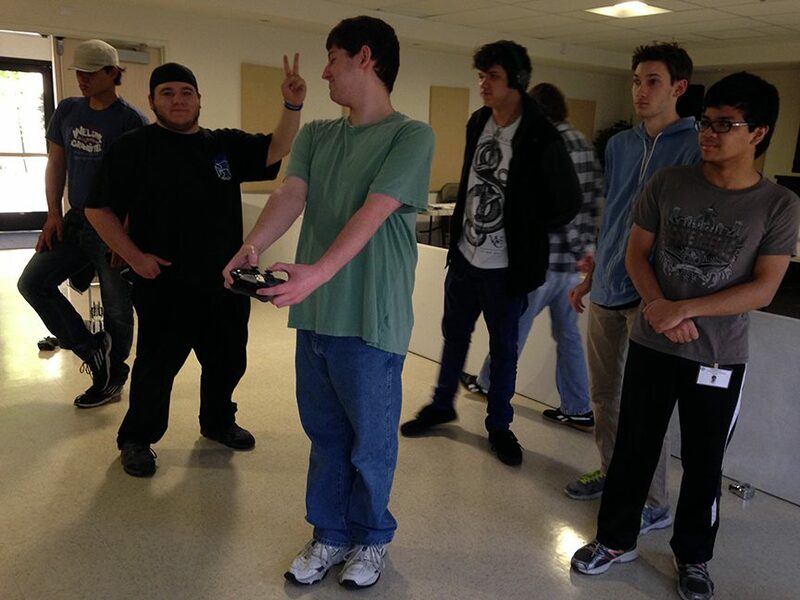 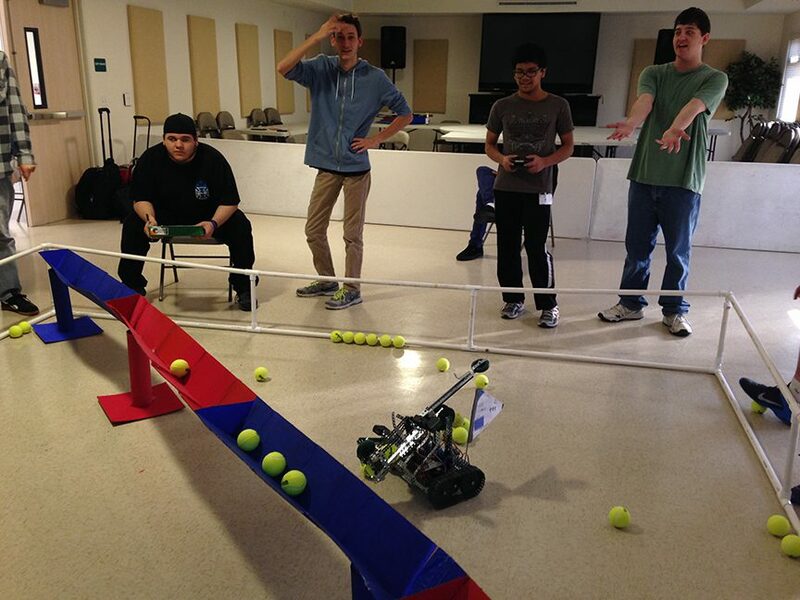 The competition was based on the Vex Bridge Battle, an annual national Robotics competition. 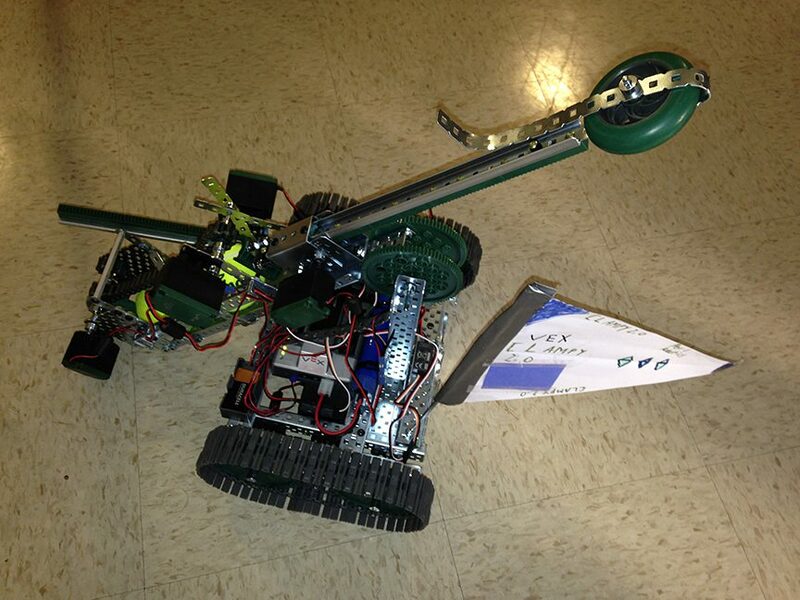 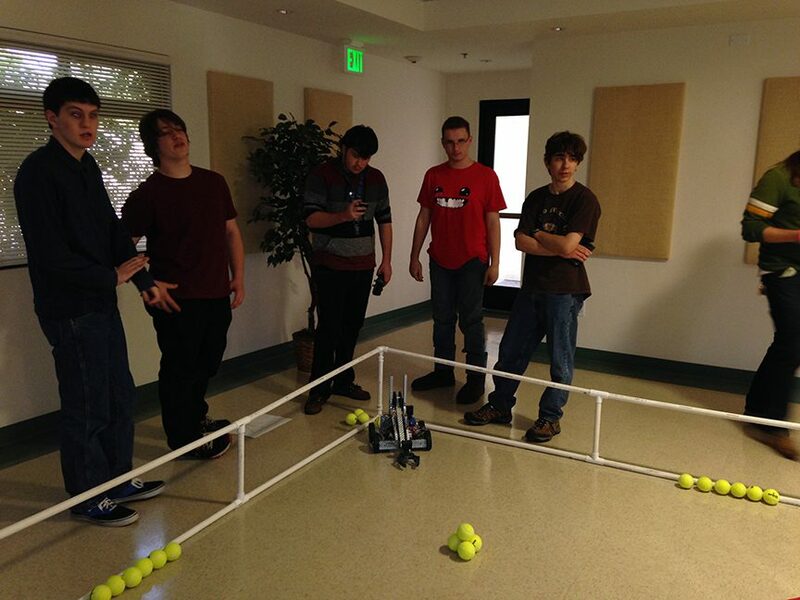 Each team's radio-controlled robot had to preload tennis balls, and then selectively pick them up and deposit them in a color-coded section of an elevated trough. 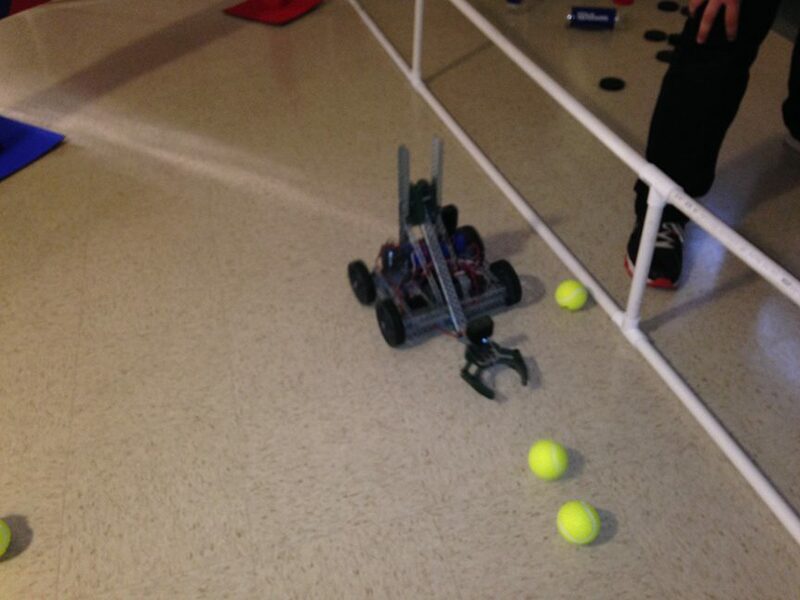 The Blue team won 3-0!